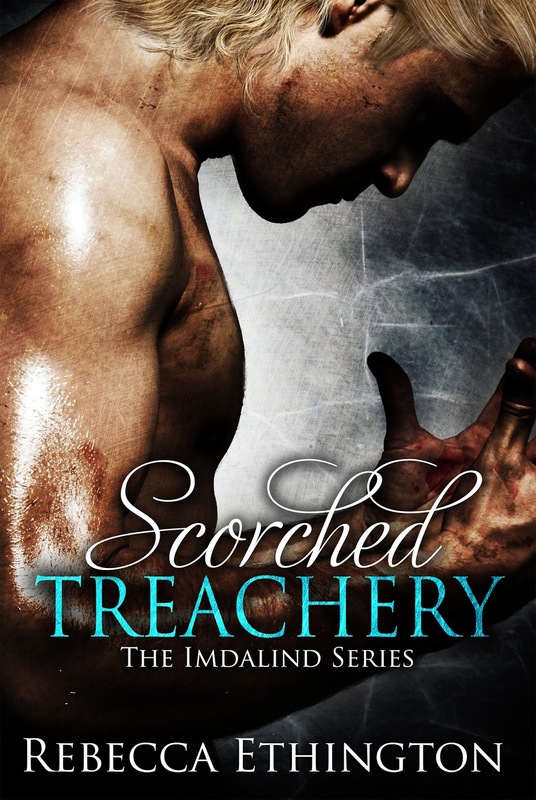 Good Choice Reading: Scorched Treachery by Rebecca Ethington Blog Tour & Giveaway! Scorched Treachery by Rebecca Ethington Blog Tour & Giveaway! Ilyan’s whole life has been building up to one purpose. Protect the Silnỳ. He knows what he must do, and he has no doubt in his ability to do so. But when his father’s magic removes Joclyn’s mind from her body, he is left protecting the shell of the one person he loves. Desperate to find a way to break her free of her prison, he makes a choice. And that one choice changes everything. Now, Ilyan finds himself bound to Joclyn in a way that he never knew to be possible. They say that blood is thicker than water, but Black Water burns, and Ilyan’s heart may not be strong enough to keep it pumping through his veins and give the girl he loves back into his brother’s care. Even if he can, it may not be safe to do so. “Have you seen something, Sain?” I asked while trying to smile. I sounded strangely like Ryland. In Ryland’s brief moments of lucidity, it was always the only thing he asked, what Sain might have seen. He was always so cryptic. I had never been around a Drak before. I had been born long after their extermination order was given, but Sain was fascinating. I wasn’t sure if it was just his way, or an attempt to keep us all safe by keeping us in the dark. I wanted to smile, but I couldn’t find it in me. 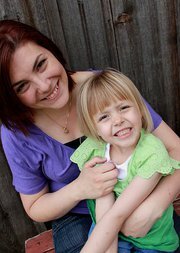 I couldn’t smile in a place like this – with my wrists and arms covered in blood, and my husband passed out beside me. Call me pessimistic, but I just couldn’t do it. I leaned my head back against the bars, keeping my hand entwined with Talon’s. “You will make it out of here safely, Wynifred.” I turned toward Sain, suddenly desperate for information, but he had already begun caring for Ryland. “Ryland?” Sain asked, his voice soft as he ran his hands over Ryland’s side. Ryland shuttered at his touch, his body racking with even bigger sobs. “No more,” Ryland groaned, his voice more of a cry than actual words. “No more what, Ryland?” Sain asked, his endless patience enduring. “No more pain. She hurts me…hurts me…hurts me…” Ryland wrapped himself up in a ball, his fingers clawing at his curls. “Why is he calm then?” I asked, remembering how much more like himself he had seemed for those few moments in that other place. “She hurts me…hurts me…” Ryland continued to pant, his pained groans pulling Sain’s attention back to him. “No, Ryland, no. She doesn’t hurt you. It’s all in your head, remember? It isn’t really her.” Sain reached up and touched the boy’s hair, his fingers soft and gentle as he attempted to calm him. However, it had the opposite effect. “Let me kill her!” Ryland’s voice roared through the small rock room, his body fighting against his chains as he moved from one barred wall to another, clawing, kicking, and grabbing at the bars in his attempt to escape. “I’m going to kill her!” he roared, and I moved into the bars I was huddled against, my hands squeezing Talon’s as I pulled him toward me, desperate for some comfort. “Not kill, Ryland. Save. You have to save her.” Sain pleaded, his volume increasing as he fought to convince Ryland otherwise. I could see his furtive looks toward the main door, his fear evident. Ryland’s voice was going to break through Sain’s weak shield, making our noise audible to those above. Sain pleaded quietly with him, and my voice joined in, my body shifting toward him a fraction as I tried to steady him with my tone. I wasn’t sure he could take another beating so soon. “It’s okay, Ryland. Calm down,” I pleaded. Ryland didn’t seem to hear; he kept rattling the bars like a caged animal. He looked at anyone he could as he yelled for Joclyn’s death, his hands clawing and grinding through the air, Sain’s soft voice barely audible from behind him as he tried to comfort him from his own cell. I looked toward the staircase, terrified that someone would hear him and come down, but no one came. So far, Sain’s shield was holding. It was obvious we didn’t have much longer as Sain’s orb of light began to flicker and dim. Ryland’s eyes began to droop as Sain’s repeated muttered comforts began to sink in. His movements slowed until he dropped to the ground, his breathing still erratic and labored, but his voice now silent. “Save her,” he whispered, his voice strangely dead and monotone. “No!” Sain suddenly yelled, the light disappearing. I stiffened at his outburst. I didn’t know much about Sain, but I did know this, he did not yell. He did not get scared. I froze, my hands still intertwined with Talon’s as loud footsteps sounded on the stairs. I didn’t move as I attempted to regulate my breathing. I didn’t know what was happening, but Sain was scared and that was enough to terrify me. I laid down and rested my body as best I could, hoping that feigned sleep would be enough to keep them at bay, praying that they would not notice me. Part of me wished I could re-shackle my wrists, yelling at me that that was Cail’s game the whole time, but it was too late to fix it now. So I laid still as voices began to filter down to us. A dim yellow light filtered through my eyelids, but I kept them closed in the hope that they wouldn’t notice me. “And once she is dead,” Cail began, Edmund’s voice cutting him off quickly. How many books the series will count in total ( if we already know)? I have the first of this series but I havent gotten a chance to read it yet. seems like a must read. thank you for the opportunity!